If you’re ready for a smile that transforms your appearance, Invisalign Nyc is your answer. Although there are many choices out there, no other treatment works as comfortably as Invisalign Nyc at Manhattan Dental Spa. Why Invisalign Nyc of Manhattan Dental Spa? The clear alternative to braces to treat Malocclusions — overbite, underbite, Misaligned, and crooked teeth. To determine whether Invisalign Nyc is a good fit for you, the process begins by taking dental x-rays, prepared for Align Technology, the manufacturer of Invisalign. If indicated, your treatment would begin with a series of aligners, switched out about every two weeks. Because Manhattan Dental Spa custom fits your aligners every two weeks, you will achieve a straight smile that truly fits. If you’re ready for a smile that transforms your appearance, We have your answer! The nearly invisible appliances are so easy to wear and to talk with, few people even know they have them on. And in just a few months, you’ll be enjoying your beautiful new smile. Whether you’re in school, on the go with family, a professional in the public eye or active in sports, Invisalign Nyc can easily fit into your busy life. Each aligner works to straighten your teeth in small incremental movements, each getting you progressively closer to your new smile. Find out if you’re a candidate for this nearly invisible no-braces treatment. Contact Manhattan Dental Spa today! 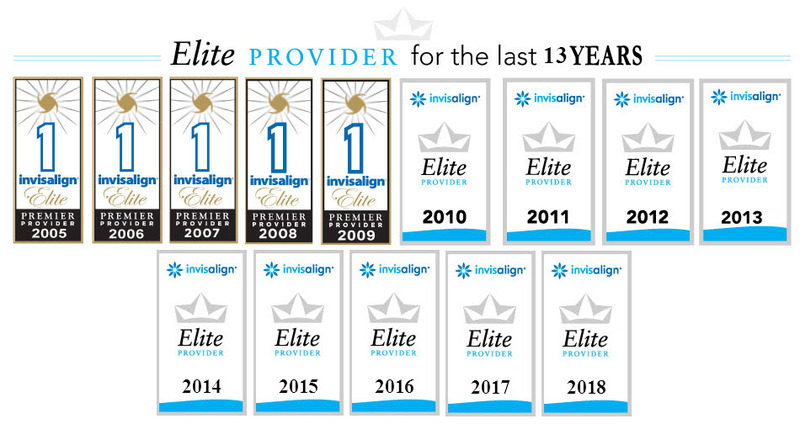 Manhattan Dental Spa has been an Invisalign Elite Provider for the last 13 years. Your Invisalign treatment consists of a series of nearly invisible, removable aligners that you change every two weeks for the next set of aligners. Each aligner is individually manufactured for your teeth, and your teeth only. Manhattan Dental Spa uses a series of invisible, removable, and comfortable aligners that no one can tell you’re wearing. As you replace each aligner, your teeth will move – little by little, week by week – until they have straightened to the final position prescribed by your dental practice. Orthodontists in Manhattan Dental Spa are certified to treat with Invisalign.